"They really seem to care. Nice clean office, flexible appointment times." "This is the most informative and thorough dentist I've ever been to." "Very professional, skilled service in a relaxed atmosphere." "Both Dr. Drummonds are great to work with and always take time to answer questions." At Drummond Dental Care, Drs. Thomas and Tanya Drummond, offer patients throughout the Fairfax, Virginia area the best in cosmetic and general dental care. 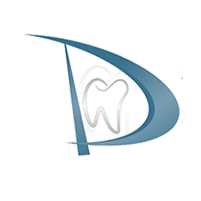 At the practice, they provide services such as Invisalign® orthodontics, bridges, cosmetic dentistry options, root canal treatment, dental implants, teeth whitening, urgent care dentistry, and dental veneers. At Drummond Dental Care, the entire staff believes that a dentist and patient become a team for treating an individual’s dental needs. The dentists spend most of their time listening in order to understand the concerns of patients and responding with the best treatment options available. With the help of the professional staff, they also follow up to make sure that any pain is minimized. Springstone Financing is also available at the practice to help you pay for treatments and procedures which an insurance plan doesn’t cover. Drummond Dental Care offers no interest financing or low minimum monthly payment options so you can get the services you desire at the time you are ready to get them. With three simple steps, including an instant approval process, it is easy for patients to apply for Springstone Financing. After a person is approved, he or she is free to use Springstone Financing for the services chosen including dentistry, both cosmetic and restorative. Drummond Dental Care also knows dental emergencies are never convenient or timely and the office is committed to patients' health no matter the time. If you are a current patient and have a dental emergency, after regular office hours, please contact us at (703) 981-4142. Drummond Dental Care welcomes all new patients to the practice, where most major forms of dental insurances are accepted. Please contact our office for more information about the insurance policies we accept. "Dr. Drummond was very professional and friendly. He did excellent work!!" "Dr. Drummond's staff is amazing, very professional and create a warm environment. Definitely can tell it's a family business." "I have had two crowns from Mr. Dr. Drummond (husband and wife practice) and both are holding up perfectly." "Routine cleanings are a breeze, the staff is friendly and the equipment seems to be top notch. "